You are here: Up-daily » Food Health » Researcher Found Out That This "Cooking Oil" Can Release Dangerous Chemicals When Heated! 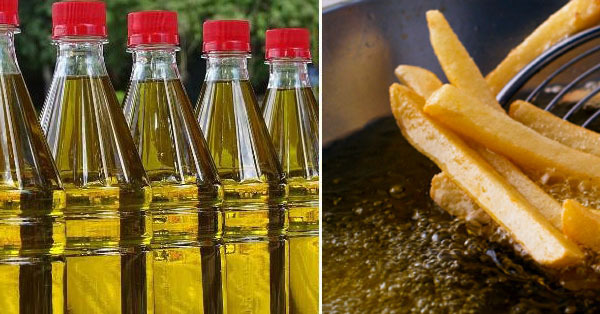 Researcher Found Out That This "Cooking Oil" Can Release Dangerous Chemicals When Heated! According to Research, they found out that cooking with vegetable oil can release dangerous chemicals that are linked to a variety of diseases. This particular cooking ingredient has been found to be harmful to everything, and it has been linked to cancer, heart disease and dementia. This chemical is known as aldehydes, as reported by Telegraph, Have conclusively linked aldehydes to cancer ant host of other illnesses. Aldehydes occurs when the vegetable oils are heated up. Lead researcher Martin Grootveld, professor of bioanalytical chemistry and chemical pathology, says the concentration of aldehydes in vegetable oil is up to 200 times that of the safe daily limit ordained by the World Health Organization. The same study found out that the safest oil is the coconut oil, it can produce very low levels of Aldehyde. cerebral ischemia/neurodegenerative diseases, and other aging-associated diseases.